So, we've been talking a bit about AdSense lately. Yesterday, we talked about how AdSense now offers free video ad serving. 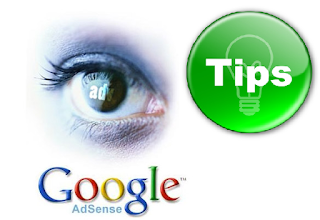 But to be more specific, we are here to talk about AdSense tips to optimize your ads and increase your revenue. Are you utilizing all the potential of your AdSense ads to make money? If you feel that there are still some untapped potential in them, you might want to think over your AdSense strategy again. A few days back, we shared some basic tips for optimizing your AdSense ads. Today, we shall continue on with some more advanced tips you should tally with your blog, and see if you're applying them or not. Google AdSense will always load the best performing ad unit on your site first. So if the connection between your server and the user is slow, and if all ads aren't loaded, then this ad unit will have the highest chance of getting loaded. So to take advantage of this, you need to place the code for that ad unit first in your HTML source. If the AdSense crawler can't properly crawl your pages, your ad units might return irrelevant ads. If you want the most accurate and useful ads, you should check to see if you don't have any crawl errors. You can do this by logging into your account, and going into Account Settings. You will find if you have any crawl errors for any of your websites there. Check this Google article on how to fix crawl errors. The internet is so filled up with information now, that no matter what content you crate, chances are that it has already been made in one way or another. So what would diffrentiate your content with that of your competitors? Your website's user experience will, because that is one of the few chances you have of getting a headstart. When a user lands on your page, you only have a few seconds to make an impression, something which you can only do with a good user experience. Good user eperience features include fast load speed, good layout of your content, nice color schemes, interactive interface with an easy navigation, quick links, and so on. Creating and maintaining a Google Plus page is the key to success now, whether you like it or not. It can be used to share your videos, posts, pictures, and more. People can +1 them, which is basically a recommendation for others to check your posts out. Google apparantly wants you to use its social network more often. And if you want success, that's just what you'll have to do. Yes, we talked about it yesterday.You might be using other ad networks alongside AdSense on your site. Doubleclick For Publishers (DFP) is a Google-hosted tool that helps streamline the process, and makes it easy to serve ads fromdifferent ad networks. It gives you a vast array of features, such as the free video ad serving feature we talked about yesterday. Last, but not least, make your website mobile! You can create and serve multiple versions of your site, depending upon the user agent client that requests the data. The market is growing rapidly, and it'd be a good idea to capitalize on this opportunity, and convert visitors into bucks.